The event started shortly and the gorgeous Daphne Iking took to the stage as the emcee on duty for this event.. In his speech, Tony says, "David is an old friend and we've created many hits together over the years. David is a legend and I'm looking forward to creating many more hits through his collaboration, especially on our Premium offerings. Premium Flex is a one of a kind product which offers travellers flexibility and value-for-money with complimentary 20 kg baggage, in-flight meal of their choice, up to 2 times flight changes with seat selection, priority baggage, check-in as well as boarding." David Foster, the newly appointed brand ambassador of AirAsia says, " AirAsia is a highly regarded brand that is nothing short of an amazing success story. Congratulations on the recent milestone of fling 300 million guests in the short span of only 14 years! 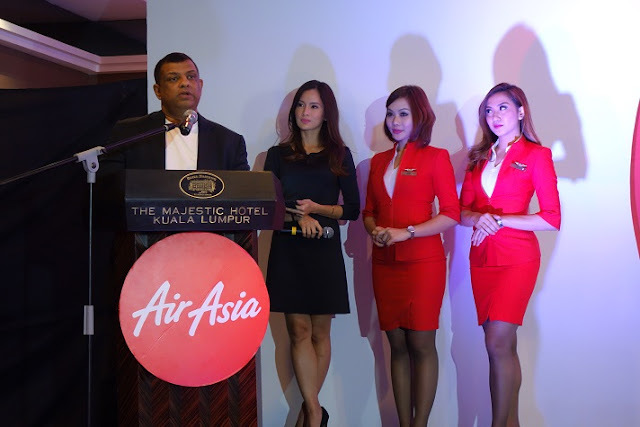 I am happy to represent their excellent premium product range and look forward to a great relationship with AirAsia as we embark on this partnership." For you who are still in the dark about David Foster... I really do not know what is happening in your world... You probably have not heard music or watch TV then....David Foster is a world renowned musician, songwriter, composer, arranger, producer and recording artist with 16 Grammy Awards under his belt, including three of Producer of the Year, an Emmy Award, a Golden Globe, and even three Oscar nominations for "Best Original Song". David is one of the most successful record producer in history and has realised the musical dreams of superstars like Barbara Streisand, Celine Dion, Whitney Houston, Michael Jackson, Madonna, Andrea Bocelli, Michael Buble, Josh Groban, Rod Stewart and Stevie Wonder. Besides all that, he is also a keen spotter of new talent, and has played a key role in the discovery and career launches of Celine Dion, Josh Groban, Michael Buble, Charice and even out own local darling, Yuna, who has recently been signed on by David as a recording artist and FYI , now in the midst of recording a duet with Usher!! AirAsia's guests can be looking forward to exclusive campaigns in which David will be featured to further elevate AirAsia's premium product range. There will also be various engagement activities, which may win AirAsia's guests a once in a lifetime opportunity to meet David Foster at one of his concerts!!!! Are you excited already or what!!!?? Premium Flex is available for all AirAsia and AirAsia X flights and flight change is available up to 2 hours before scheduled time of departure of the original flight and at least three (3) hours before the schedule time of departure of the new AirAsia flight and four (4) hours before schedule time of new AirAsia X flight. 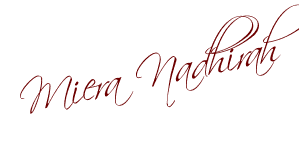 The changes can be performed via web at www.airasia.com, mobile and all AirAsia official offline booking channels. 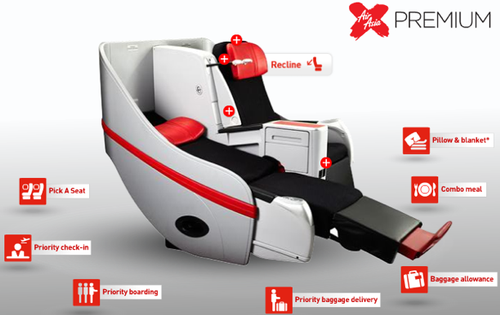 As for the Premium Flatbed seat, back in 2010 AirAsia X became the first long-haul low fare carrier to introduce the Premium Flatbed seat, which has standard business class specifications of 20" width , 60" pitch and stretch out to 77" in full recline position. Thank you AABC team and AirAsia for this unforgettable rare opportunity and for having me!!! AirAsia go BIG with awesome Global Ambassador. How to be AirAsia blogger community? The selfie photo was really awesome and it was not easy to take a selfie with David Foster! Great meet up and event! Wow!! NO kidding! U manage to grab a wefie with him!!! Jealous mode on!! Lucky u dear! fangirl number 1 eh? haha.. :) it's a really great opportunity meeting up with the legend. Nice!! And you got to selfie with him LOL!! Woosh! Nice selfie with David Foster! That is awesome! The selfie and get to meet David Foster in person!